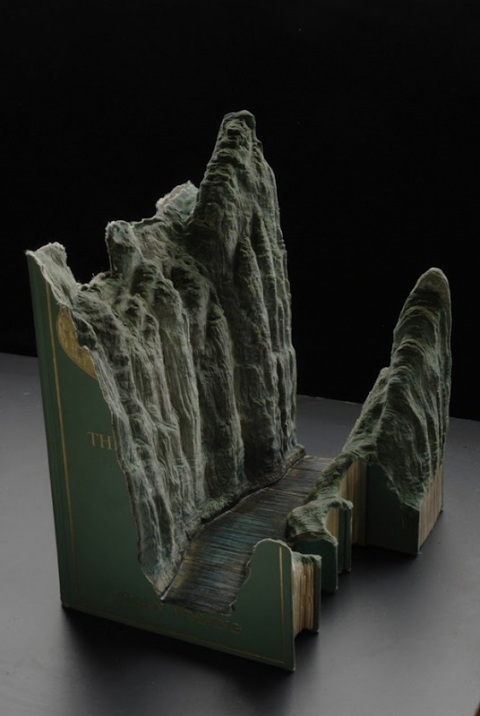 Guy Laramee and Altered Books. 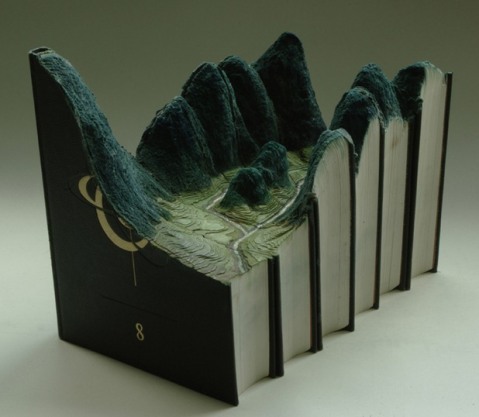 For those that enjoy nature but can not go out and climb great mountains there are photographs and books. 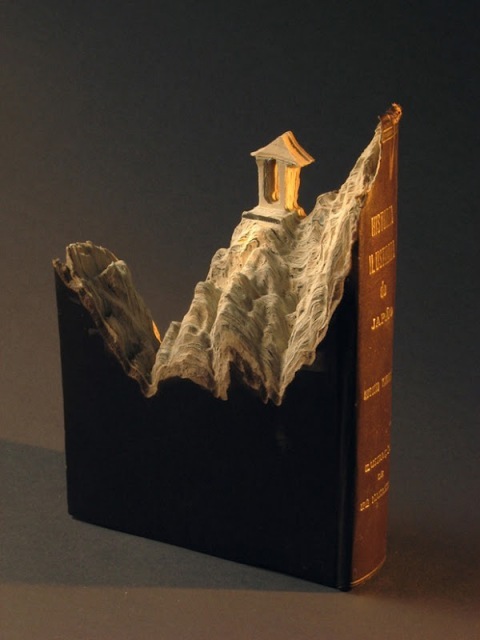 Through books we gain a certain knowledge about the mountains, however by climbing mountains and spending time in nature we gain a certain knowledge about ourselves. 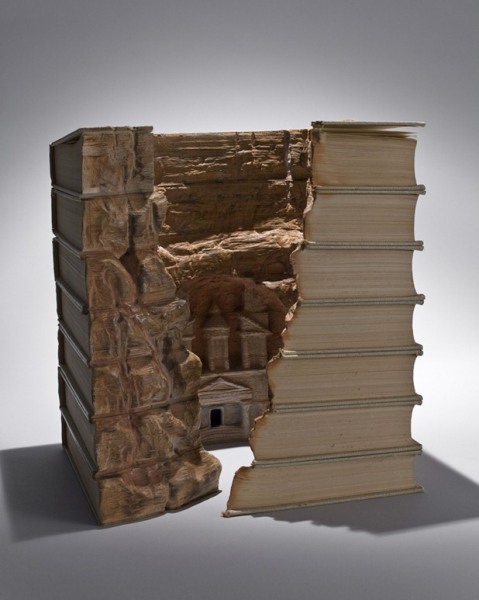 Canadian born Guy Laramee is a multidisciplinary artist that has worked in theater, music, video, sculpture, painting and literature. He has also pursued interests in anthropology. His field work includes ethno-musicography of the Fetish ritual in Togo and oracular imagination among healers in the Peruvian Amazon. 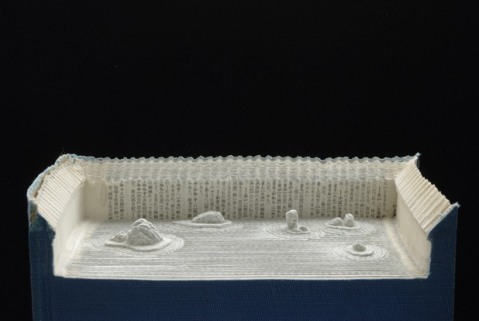 Two of his recent projects Biblios and The Great Wall are books about mountains and culture. 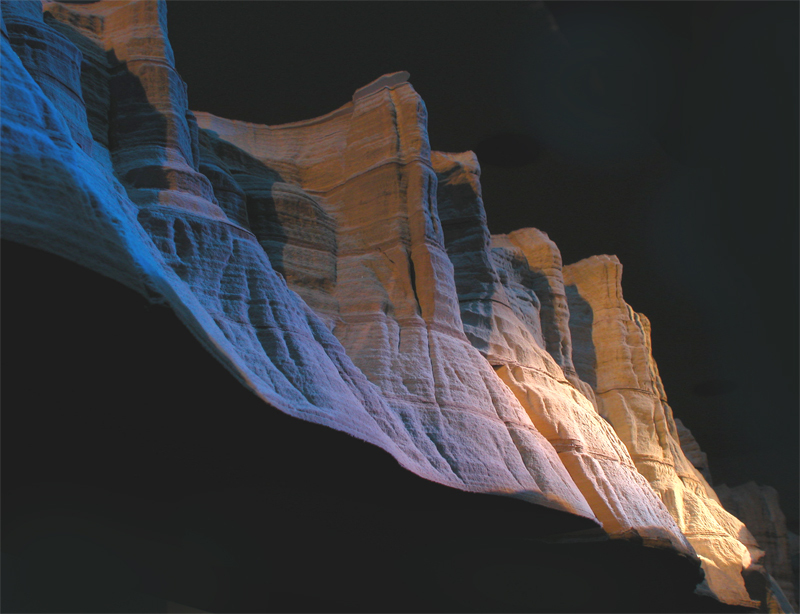 The GALERIE D’ART D’OUTREMONT in Montreal, Canada will be exhibiting the works of Guy Laramee 5 au 29 Avril 2012. If you are in the area or neighborhood and like mountain ART books stop in and pay your respects. Peace. Gallery | This entry was posted in earth, environment, the hungry brain and tagged Art, Earth, environment, Society. Bookmark the permalink. Wonderful art. 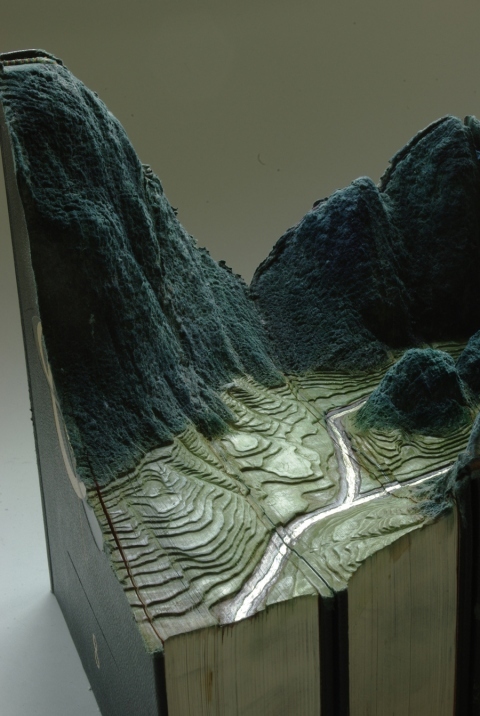 Some of them look like they are model sets for Lord of the Rings! Does anyone know how it is done? Not that I will try – I don’t have an artistic bone in my body – but I’m very curious. I’m not sure but the carving may be done with a dremmel. I am inspired by Laramee’s work to try…something. I think in a subtle way Laramee’s choice of subject and materials closes a circle that was started thousands of years ago. Then we used natural materials, like charcoal and stone, to write books (scrolls), and now he’s using books to depict natural materials (ie. 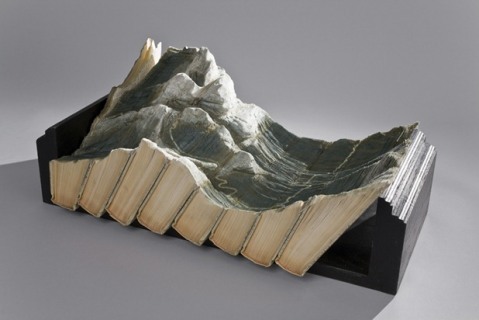 mountains). Great interplay of the natural and the man-made. Thank you for sharing! Great insight Anya. The circle is unbroken. s a substrate. 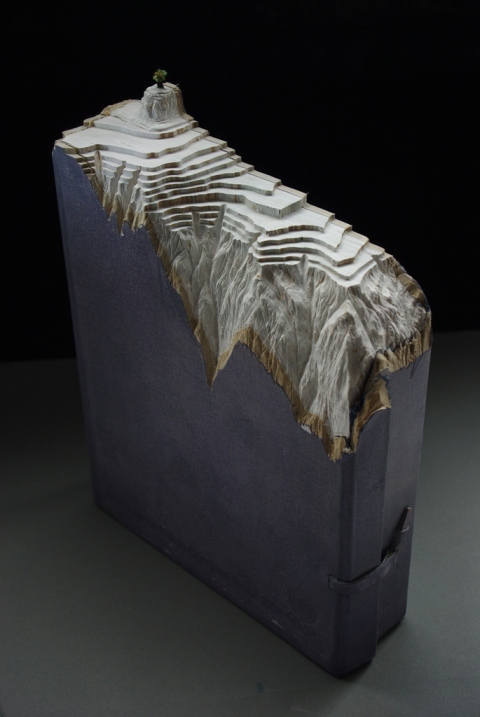 These mountain art books are beautiful! 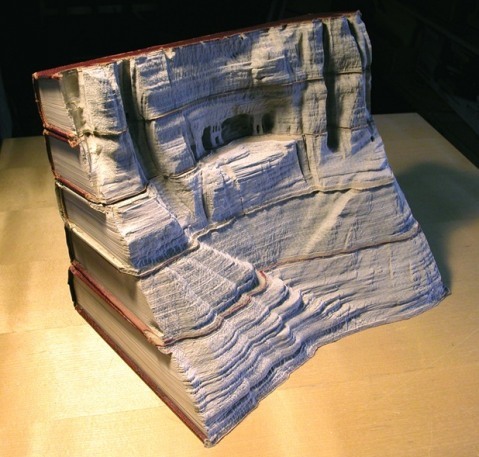 I had seen a few other altered book projects before where books are stacked forming large sculptures such as buildings. The art of Paul Laramee is wonderful. He does fine paintings of landscapes as well. Check out his website. Talk about unbelievable! That’s Talent with a capital “T”. Thanks for sharing. I’m Canadian but I hadn’t heard anything about him or his art.